It can feel hard sometimes to know-do I go for this or hold off? do I express this or should I wait? should I keep this item or should I toss it? I find that asking yourself a simple question can help clarify things. But before you ask, get grounded. Drink some water. Breathe. Get off your phone. The key is to tune into your body and you can’t tune in accurately if you are a live wire of nerves or distraction! Ask: Would doing this/tossing this/not tossing this/expressing/not expressing feel EXPANSIVE or DEFLATING? Ask it aloud and scan your body. Pay attention. Close your eyes. What sensations do you feel? Signs you are getting deflation? tightness, an inner knowing that this is “not all true”/feels forced, constriction. Now, sometimes it’s a bit of both and then you can ask yourself, “What am I afraid would happen if I do this/don’t do this…?” You can journal about that and then revisit the question above. Often times if it’s something you’ve never done, it’s natural to feel a bit afraid! But also a deep knowing that this is true for you as a next step. With practice, it will be easier to tune into your inner knowing! Yesterday (August 21) was my birthday and what I want more than anything is to empower more women to let go of what I call the “slave/prisoner” energy and step into their inner Queen/Goddess self. :: feel at home in your body and in exercising your voice…it deserves to be heard! I’ve been reading this amazing book by Marianne Williamson called A Woman’s Worth and felt inspired to share a FB live video I did around this very concept. If even one of you sees it to the end and feels empowered to take the next step towards your greatness, my heart will be so happy! Thank you for being part of my Goddess community! do you resist receiving? fun tale from Oakland! Or only receiving it when you feel like you’ve “earned” it. But if you are to open to her, that true Goddess self that is magnetic and powerful and deliciously happy, learning the art of receiving is key. And we sometimes get hit over the proverbial head to learn this! I’d love to share a funny story about this that happened to me last week in Oakland. It’s a prime example of how the lone wolf warrior Goddesses had to surrender to the more balanced, open-to-receiving self-loving Goddess. I was just visiting the Bay Area to teach at a performing arts camp that I look forward to every year. I stayed in a few places throughout the week and at one point, I booked a last minute AirBnB without reading the fine print. But the day before I was scheduled to go to that place, I got this really strong feeling that I shouldn’t stay at that AirBnB. Looking closer at the place, I realized I thought it was a private space only to find it was a shared space. Red flag #1. I tried to edit my reservation to only stay there one night (again, I really wanted to cancel but I was trying to override my own wisdom and maybe it wouldn’t be so bad)…only to receive a text from the owner that she doesn’t do cancellations for any part of the stay. Red flag #2. I Lyft over to the place, which is in a nice, safe neighborhood. It looked pretty from the outside. Maybe my intuition was off? I see a man coming down the steps with headphones on and no shoes. I get the same funny feeling and I am told by the host who lived above to take off my shoes and keep my feet on the outside mat (and apparently I did this wrong as she mumbled something under her breath!). Oh dear, Diana, what have we gotten ourselves into? To make a long story longer, it was not just a shared space with one other person. It was a crazy set-up of two rooms lined with bunk beds and a mat on the floor…and one bathroom that she said we were only allowed to be in for 15 minutes. No locks on the sliding doors and no food allowed in the space, not to mention I’d be bunking with three other men in the same room? No no no thank you Goddess! At that point, I was literally speechless and I had no idea what else she said to me, but I ended up just going outside on the porch with all my stuff and texted my boyfriend, who of course was horrified that I was staying there. I waited hours and hours to even tell him because I knew he would be worried and I kept trying to justify why it wasn’t so bad…and all my intuitive alarms were firing SO freakin loud to call my friend Shannon and go back to her place, or get a hotel, anything but I couldn’t stay there. My Goddess, I waited until the lovely hour of 11:15pm to finally do something about the situation and really, it was my boyfriend who finally snapped me out of it. His text was brief: here’s a hotel. I’ve booked it already. Get in a Lyft and get out of there. Let me know when you’re inside safely. And you know what? I resisted it! I was actually annoyed at him. I resisted and hemmed and hawed. I didn’t want him to spend so much money on a room I’d be in for five hours. I didn’t want to lose the money I’d already spent. I was pissed at myself for not reading the fine print. Annoyed at myself for not feeling strong enough to listen to my gut the first time and stay with Shannon and forfeit the reservation altogether or to admit that yes, I got myself into a predicament but I could make another choice, a better choice at anytime. I was at cause here, never a victim to circumstance. It wasn’t ever too late and nothing was worth forfeiting a good night’s sleep and being well rested for choreography the next day. Once I made the decision, I felt a huge wave of relief and I watched in amusement as more and more random people kept coming into the home. Pretty soon, 9 people were in the two rooms and I was seriously laughing at myself by then. Once I got into the hotel room (near midnight), and I lay in the huge king size bed about to pass out, I realized how unnecessarily difficult I had made this! We’ve all had some version of this right? The part of us that doesn’t want anyone to be burdened by assisting us or being there for us. I could feel her rolling her eyes at me. I would have! 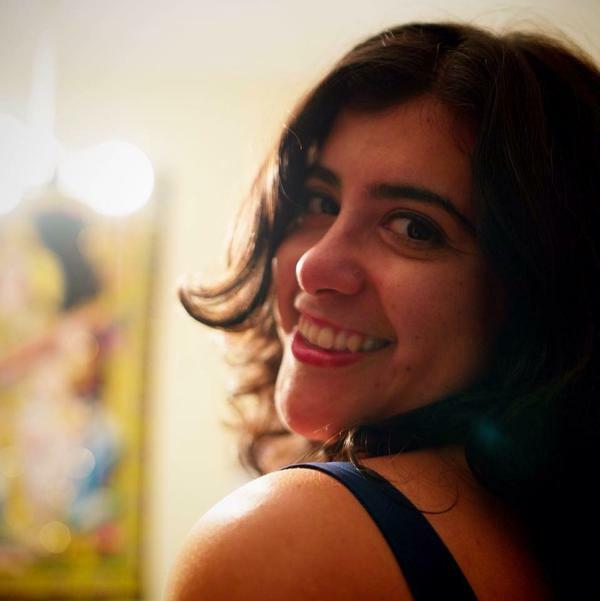 Why do we have to wait until something is “bad” before we make a choice that honors us? I realized how my dogged determination to “tough it out and make do with a sub-par situation” clearly didn’t serve me or anyone else. I learned so much from that one evening. And no one is to “blame.” It just is what it is and you can redirect as needed. It’s okay to change directions, as often as necessary to honor your Spirit. It’s okay to ask for help and admit that you are uncomfortable. People actually really do want to be there for you and it takes more strength to ask for help than it does to tough it out and be miserable in your own pride. So that night, I retired the slave girl, lone warrior-tough-it-out Goddess aspect of myself. I seriously thought I was done with her, but that one night showed me she was still there to make one final appearance so we could break up for good and go our separate ways. Appreciation for my partner more than ever before. Reminder of my innate worthiness for everything I desire and require. In short, The Queen Goddess, who is anchored in strong self-acceptance, open to receiving and giving from a place of authenticity and Truth, is out to play. Q: Have you ever resisted asking for help? What is one thing you are willing to receive this week? Share with us in the comments! ps: Want more? 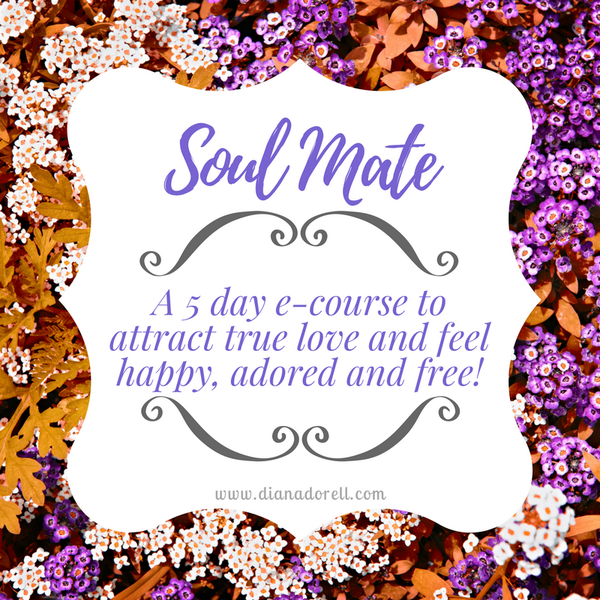 Click here to get my free 5-day ecourse Soul Mate! https://dianadorell.com/wp-content/uploads/2019/03/What-would-your-inner-Goddess-do_.png 0 0 Diana Dorell https://dianadorell.com/wp-content/uploads/2019/03/What-would-your-inner-Goddess-do_.png Diana Dorell2018-08-15 11:57:062018-08-15 12:13:10do you resist receiving? fun tale from Oakland!